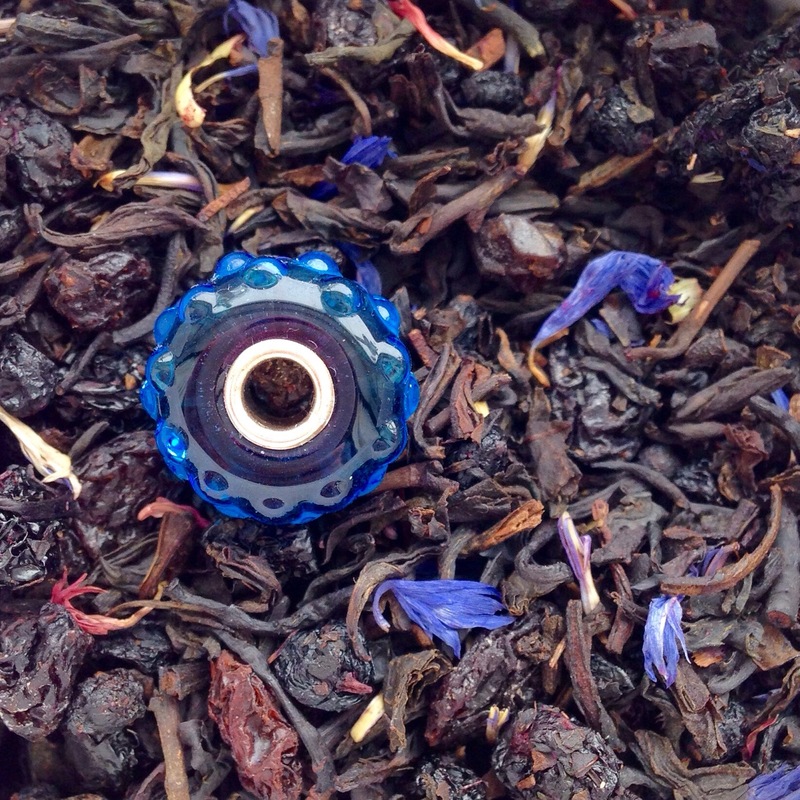 The other day I was scooping out some DAVIDs Blueberry Jam tea and it struck me that the colours reminded me of the Trollbeads Blue Fizz bead. Naturally after mentioning this to my husband, I got an ‘are you insane?’ look. But, look, see what I mean? 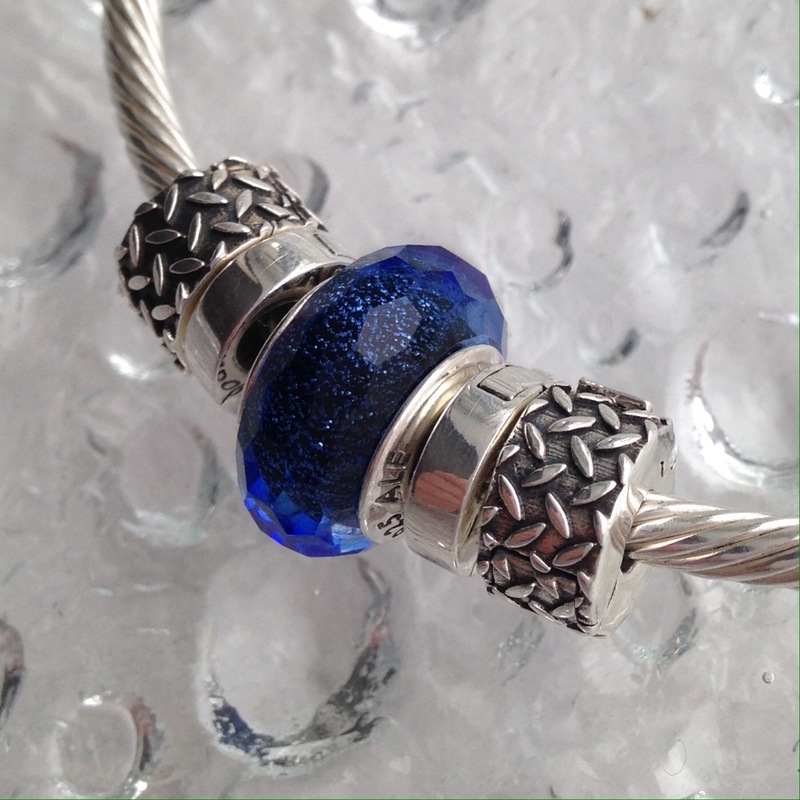 The Blue Fizz bead has purple at the core and then is surrounded by lots of blue. Mine actually looks like it’s made of plastic, although I know it’s glass. I did get it on sale, so maybe there are better examples of it out there. 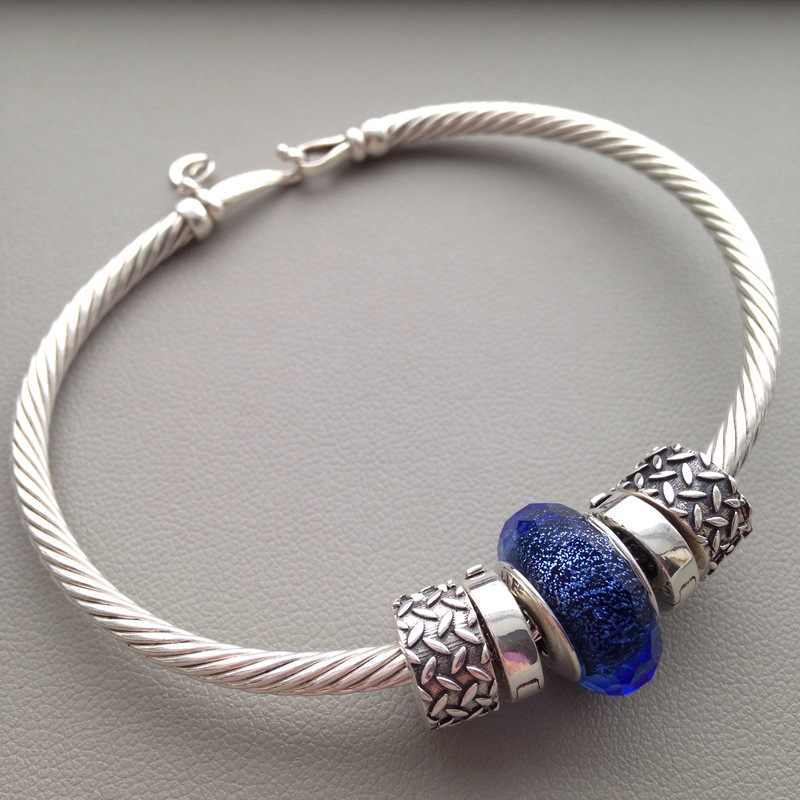 I wore it with the Ohm Beads purple bead from the Six Pack collection and the Pandora Blue Fascinating Iridescence. 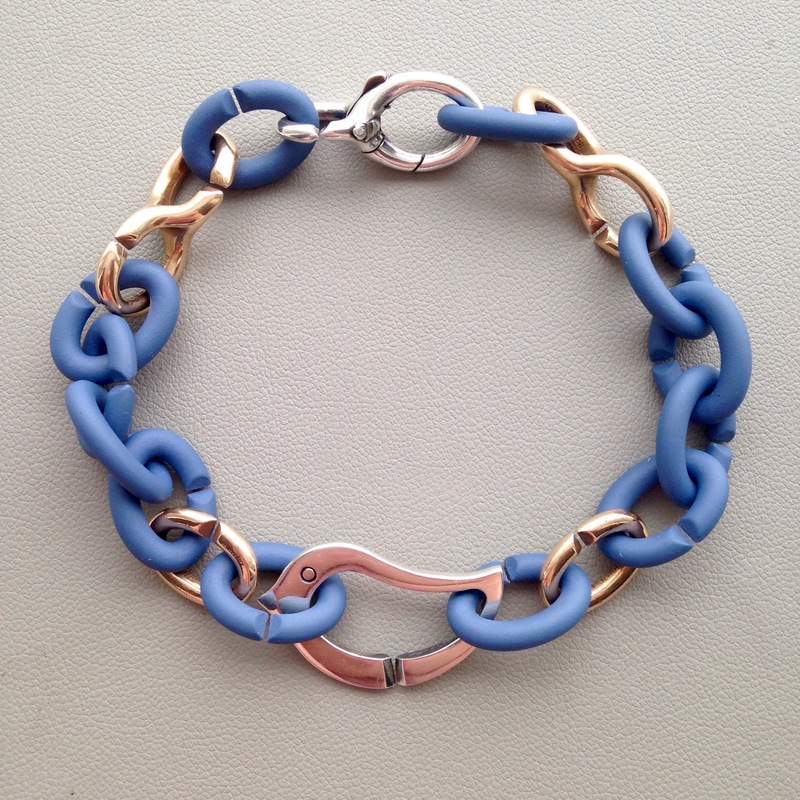 Then I wanted to wear some casual blue bracelets for the next couple of days. I changed up my X links slightly, putting back some of the bronze links in the mix. I think they look really nice all polished up, almost like gold. I’m looking forward to seeing what the two new X links colours are going to be. On Instagram yesterday they said they’d be available April 18. 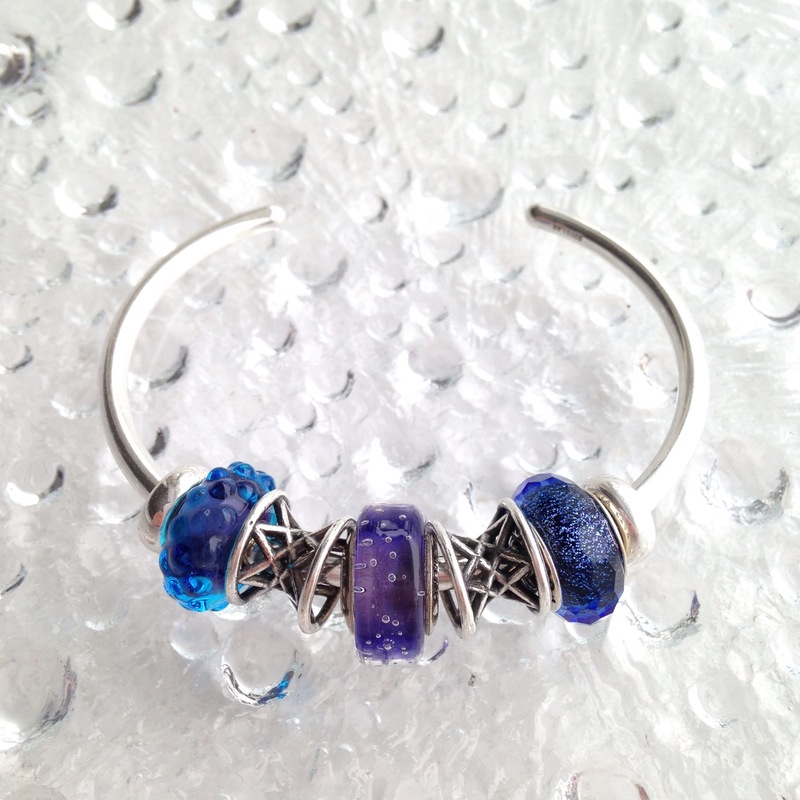 Then I took the Pandora Blue Fascinating Iridescence and put it on the Ohm Beads Twisted Bangle with the Bare and Metal-ness clips. I really like this look! Here’s the whole combo (with the Redbalifrog Calla Lily on the Leather Strap). 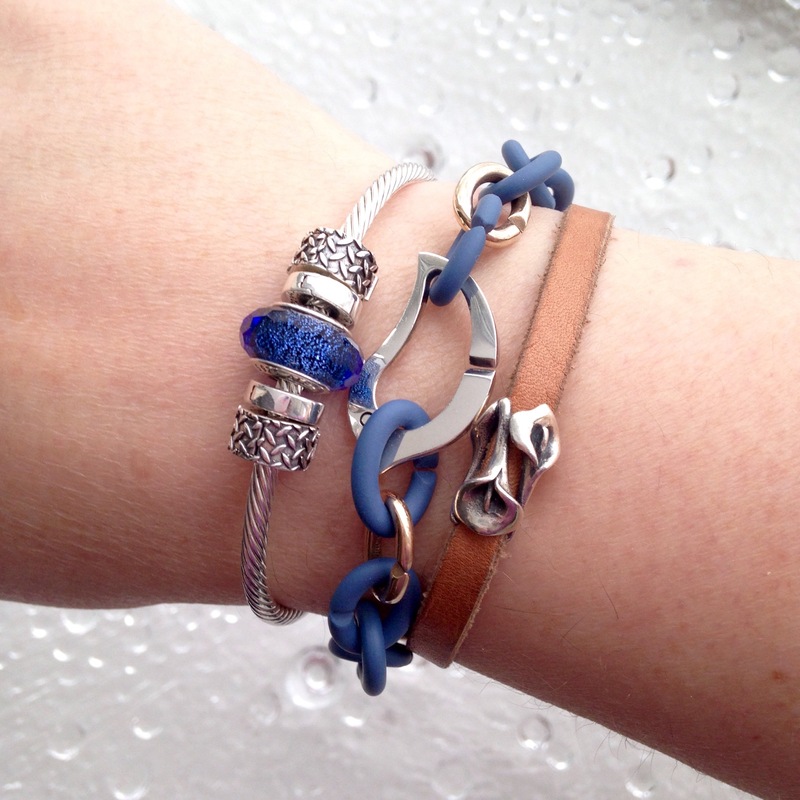 Do you have a favourite go to bead for a casual look?